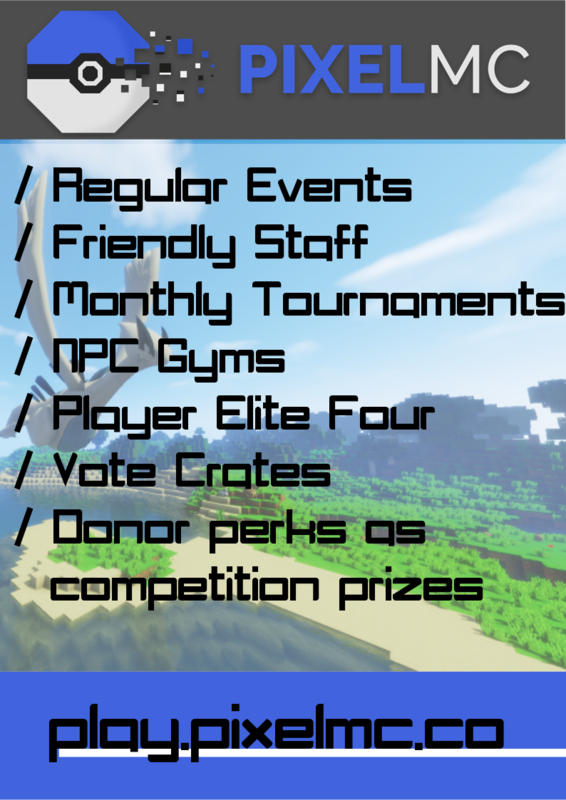 Great server, friendly staff and community! When I got onto this server I was pretty excited, people greeted me and they seemed nice at first. I noticed that in the kits there was no pokemon items (e.g no pokeballs, potions ect.). I asked why they didn't because they were a new server and I thought that they may have missed it by accident. Turns out you have to sign up to their forums before you have access to anything like that, including IVs, member title and of course, basic equipment to start off your journey. After refusing to sign up they wanted me to leave.. nice.